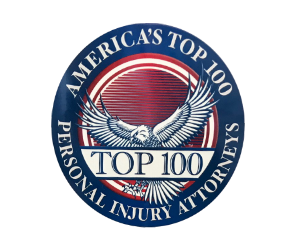 The attorneys at Phillips Law Offices, located in downtown Chicago, Illinois, have been assisting injured individuals and their families for over 65 years. Our job is to get you the compensation you deserve and assist you in putting your life on the road to recovery. A personal injury occurs when a person has suffered some form of injury, either physical or psychological, as the result of an accident. However, calling them “accidents” does not mean those responsible cannot be held accountable for the losses you have suffered or the expenses you are likely to incur—sometimes for the rest of your life. We hold wrongdoers accountable for their negligence and the damage that they cause. Our goal is yours. We are passionate in our efforts to obtain fair, just, and reasonable compensation in settlements, mediation, arbitration, or at trial. There is no reason to fear fighting for what you deserve. We are with you every step of the way as your advocates, and we love to win on our client’s behalf. Phillips Law Offices attorneys focus on analyzing and proving liability, and then work tirelessly to establish the maximum amount of your damages. Depending on your case, we will also engage a host of other types of liability and damage experts, and employ the latest technology. All this is geared toward presenting a powerful and persuasive case to representatives of responsible parties, and judges and juries at trial, if necessary, that you deserve fully-valued compensation for your losses. From offices in Chicago, the attorneys of Phillips Law Offices offer quality and comprehensive legal services to the injured and their families throughout Illinois. Call (312) 620-1106, or contact us online today for a free consultation with one of our attorneys about your case.